All links have been checked and updated as needed. This Woodford County site is part of the ILGenWeb and The USGenWeb Project; which are dedicated to providing free genealogy access online. This site is maintained by a volunteer County Coordinator/ Webmaster. If you find any broken links on any of the pages, or other problems with the site, please let me know via email. If you would like to contribute Woodford County material to the project, please email it to me. Please check back often to see what has been added to the site. 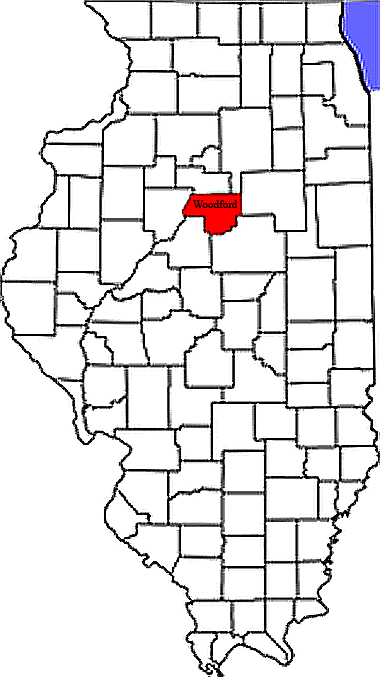 Woodford County was formed in 1841, out of parts of Tazewell and McLean Counties. It was named for Woodford County, Kentucky, which had been named after General William Woodford. General Woodford was with General George Washington at Valley Forge. Site design by Crystal Pixels Design.